Our official volunteer speakers can give talks on the amazing work we do at schools, groups and businesses. You might get to meet a canine partner too! You can help raise the awareness of Canine Partners by joining our network of volunteer speakers who spread the word about our work. We receive requests for talks from groups such as schools and youth groups, Women’s Institutes, Lunch Clubs and everything in-between! If you would feel confident to take on this role, and help us to educate young young people and adults about disability and how an assistance dog can help, please get in touch. We’ll give you full training, support and promotional materials. give talks to community organisations such as WI, lunch clubs and golf clubs etc. 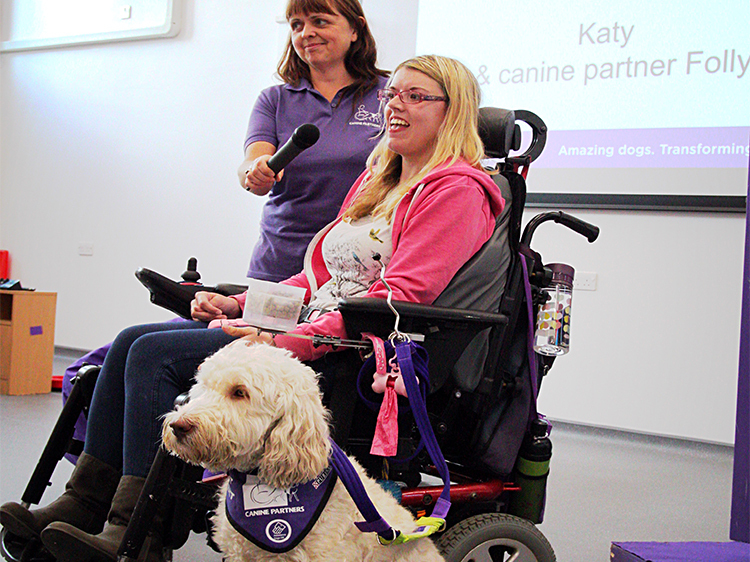 As a speaker for Canine Partners you will have the satisfaction of knowing you have spread the word about our work to a wider audience, and are helping secure the future of our charity.